"Spirited Away, along with many of Miyazaki�s other movies, are very close to my heart. I loved Spirited Away growing up and it is to this day a movie that I can watch over and over. 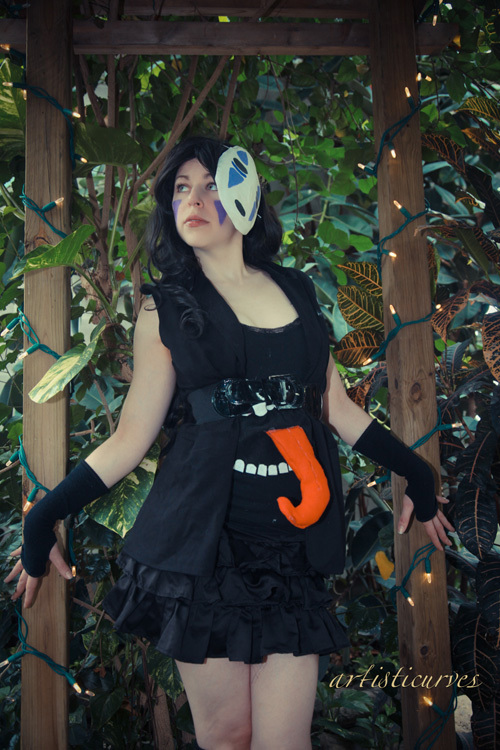 No Face is one of those characters I thought would be cool to translate into a cosplay, so I made this. It was fun to have people running away from me when I offered them gold hehe It was also nice to get to shoot this at the butterfly conservatory, such a nice setting."